As the days grow shorter and the temperature slowly falls, many of us will rummage in the back of our wardrobes and pull out some cosy knitwear. Hats, gloves, jumpers, and big scarves can all be employed to fight back the cold in garish colours and are all too itchy. Personally, I have a big orange scarf that is just a little too long; wonder why I like that one so much? Thinking about it, a lot of what I wear can be traced back to the Doctor. I’ve always been a fan of big coats and I have a lovely pair of leather boots that I now realise I bought because they’re very much like what Matt Smith wore. I’ve also got some converse, but they’re not well suited to the current climate – the Tenth Doctor must have gotten very cold feet; that must be why he got married a lot. My personal lack of originality aside, Doctor Who is a treasure trove of winter style as various incarnation of our favourite Time Lord and their companions have rocked some delightful knitted garments. Whether you think they are the pinnacle of sartorial elegance, or they look like rejects from a charity shop floor, we’re going to look at some of the show’s prominent woollen elements. 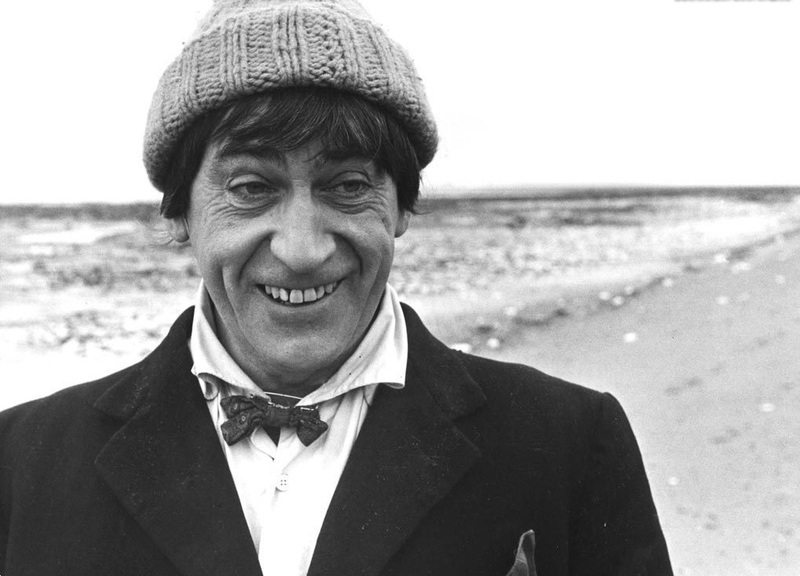 Patrick Troughton’s Doctor always had a love of hats. In many stories, he would swap his existing hat for one that was appropriate to the era he had found himself in. He first stepped out of the TARDIS in a battered old stovepipe, but it wasn’t until Fury of the Deep that he got something that really befitted his Cosmic Hobo persona. To tackle the seaside breeze, the Second Doctor can be seen sporting a nice woollen hat, blue in colourised photos that I have seen. It’s a shame he didn’t hang on to it for very long as it really suits his Doctor. Having skimmed through the Second Doctor Big Finish titles, his hat is criminally underused, only appearing in one release. How is that image not on the cover of every single story from his era?! I’d buy a story based off that picture alone. He’s just so much fun. There’s also a lovely little bobble on the top that adds to this Doctor’s disarmingly cute charm. How could a man this adorable possibly stop your evil plans? The granddaddy of all knitted items. The pièce de résistance of woollen wear. The Fourth Doctor’s scarf. Whilst Doctor said his scarf was made by Madame Nostrodamous, it was actually the result of a lady called Begonia Pope simply using all the wool that she was supplied with, not knowing how long the producers wanted the scarf to be. A friend of mine who works in a sewing shop, who is quite ‘he witty little knitter’ herself, said that the massive 12ft scarf could be knitted in a day. You must admire Begonia’s dedication. Imagine what would have happened if she had had access to twice as much wool. Would she still be knitting to this day? Ah, but of course, Tom Baker also sported an incredible 18ft scarf for Season 16 and 17 – that’s the one he’s most frequently seen tripping over. Incidentally, you can buy variants of all these scarves from Lovarzi – yes, including the full-length 18ft one, as well as a shorter one, for everyday use. Did HAVOC employ similar stunt capes for Pertwee? We can only speculate. 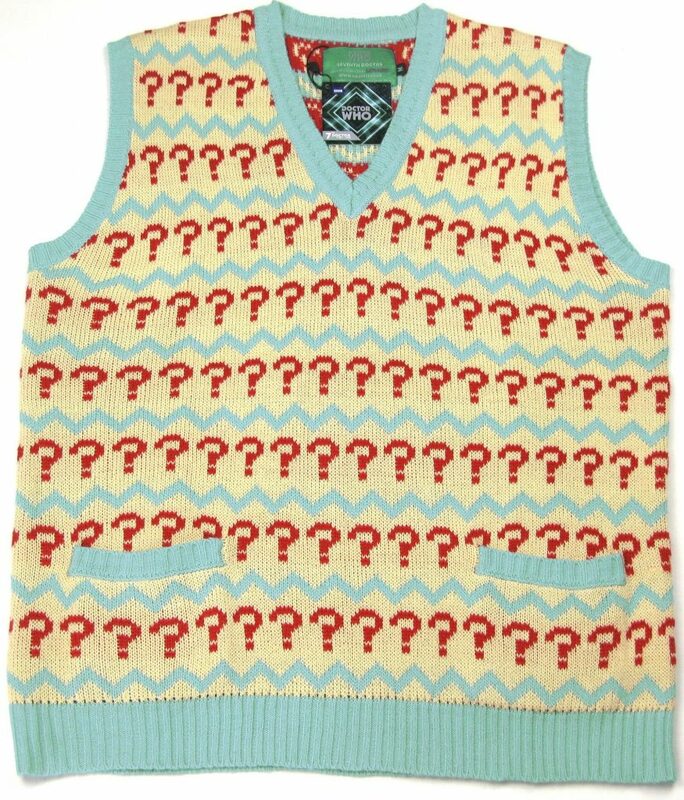 You may initially think that Peter Davison’s incarnation of the Doctor hates knitwear. He spends the first few minutes of his debut wandering around the TARDIS impersonating his previous selves and committing Doctor Who sacrilege when he unravels Tom Baker’s scarf. Although to be honest, I’ve never really liked the weird burgundy monstrosity that the Fourth Doctor ending his days in; he looked like he was wrapped up in the innards of Mr Snuffleupagus. The jumper itself, of which there were two styles, is brilliant though. In Season 19, he wore a jumper with stripes around the neck (like this one) and in Season 21 he changed to one with thicker stripes around the neck and additional stripes along the base. It’s honestly something I could consider wearing myself if I knew much about cricket, but I can’t risk people assuming I know what I’m talking about. I don’t want to be stuck in conversations about silly mid-off when I’m really just interested in the kit. 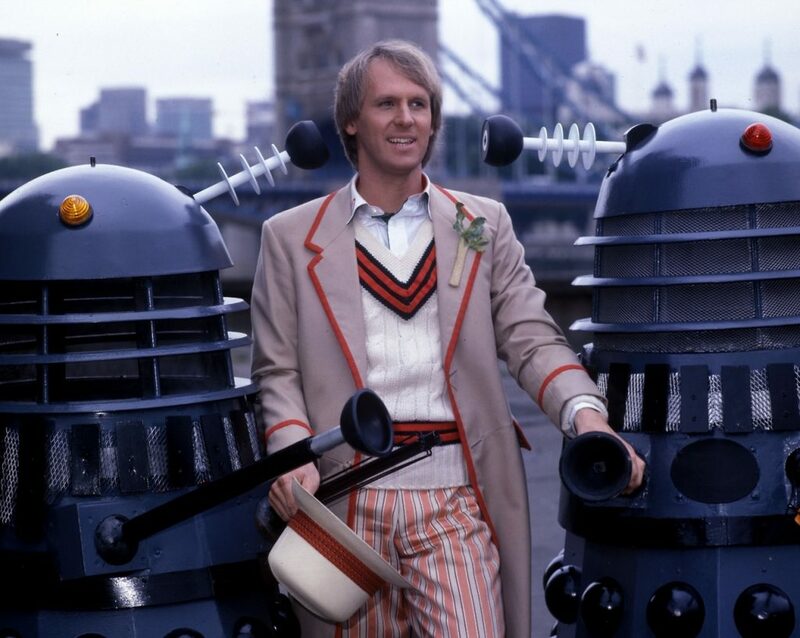 I’ve always disliked the ’80s tendency to over design the outfits for the main cast and would have preferred to see Davison in more off the peg or vintage cricket gear. He always looks like he’s wearing the cheap supermarket version of his outfit, rather than actual clothes. Maybe it’s just the trousers. The Seventh Doctor manipulated events in the background. He was ten steps ahead of his enemies. He moved about unseen, planting the seeds of his devious plans throughout time and space. All whilst wearing the most garish and memorable tank top you will ever see. Thought that Colin and Peter’s lapels were too on-the-nose? Well, how about a whole jumper covered in question marks? But here’s a thing: it’s one of the most popular products sold by the aforementioned Lovarzi. Presumably it’s for people who can rrrrroll theirrr rrrr’s just grrrrreat. McCoy began as a goofy clownish Doctor who slowly grew into one of his most terrifying incarnations. His character may have progressed, but sadly his wardrobe did not. Even when Sylvester was at his most chilling or melancholy, he was still wearing that stupid jumper. I suppose that’s testament to his acting in scenes like that one with Will Smith’s butler. I am struggling to put into words just how bad this piece of clothing is. Firstly, it’s a tank top, something that should only be worn by 1930s vicars and even they don’t pull it off. 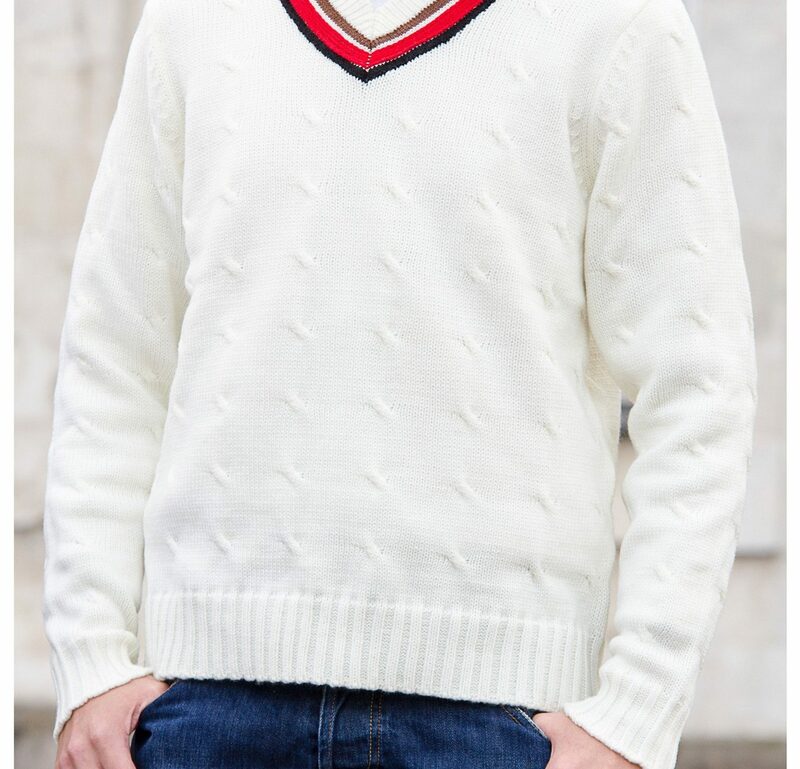 It’s a jumper without sleeves – why? Was there a shortage of wool during the war? Is it a “paint gravy on your legs to look like stockings” sort of thing? They got rid of it for the TV Movie, but all that meant was that it didn’t get shot. It’s not just the Doctors who wear nifty knitwear; their companions have also been known to sport some woollen wonders. There has been a plethora of fantastic scarves on display throughout the years. 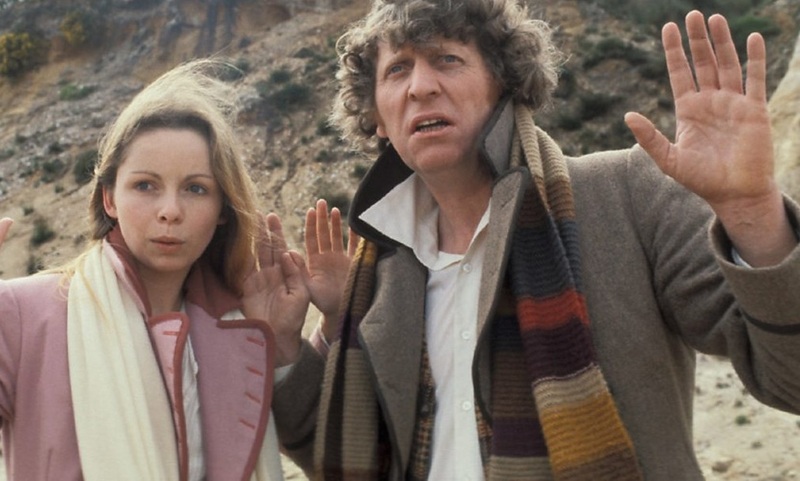 In her first story as Romana, Lalla Ward wears a very long white scarf. 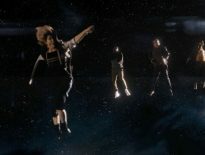 You must assume that the Doctor put it in the TARDIS wardrobe hoping that she would put it on. In Boom Town, Rose Tyler has a brilliant multi-coloured scarf that really deserved more screen time. 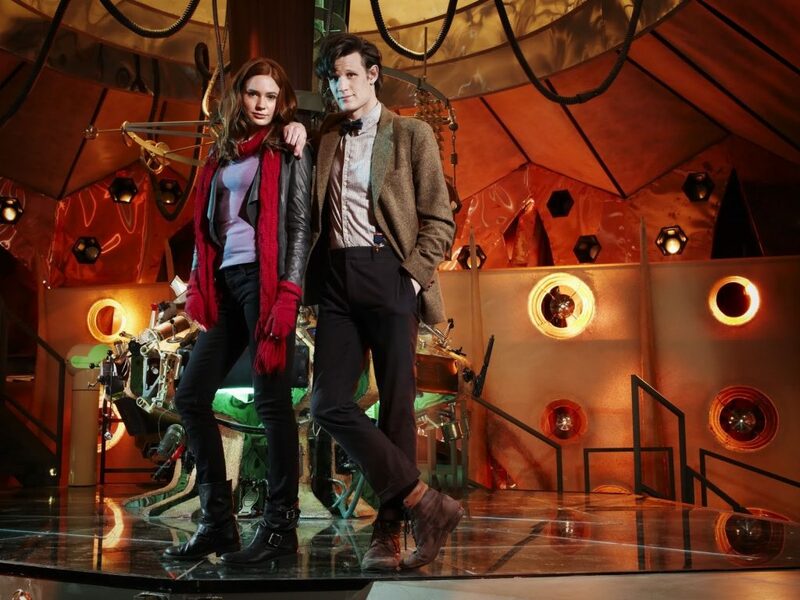 Amy Pond also had a couple of scarves she wore, notably in Vincent and the Doctor and The Pandorica Opens, in which she coupled with matching fingerless gloves-come-mittens. Do you have a favourite item of clothing? Has your dress sense every been influenced by Doctor Who? Please comment below. Was there anything I missed? If so, it probably wasn’t worn by Leela.